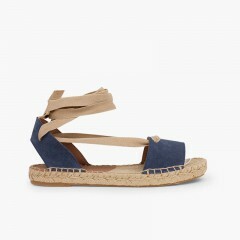 With our brasileras rubber sandals for women you will stay comfy and trendy for the whole season. The classic flip-flops in many different colours and at unbeatable prices now at our women's Footwear section. These sandals for women are so beautiful and trendy that they can be worn at the beach, the swimming pool or even to go out. Our catalogue with sandals for women also includes several fashion ideas from internationally renowned brands such as XTI. You can find these sandals for girls both at our Madrid shoe store and at our online store. Modern and perfect to stay trendy at best price. 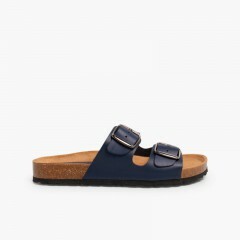 You will find roman sandals, riptape sandals, buckle up sandals, flip-flops... Remember that in our section of footwear for women you can also find boots for women, ballet pumps and ballerinas for women, women's sandals, avarcas menorcas sandals for adults, trainers for big girls, chukka boots for women andmuch more!